Many schools were built at a time when teachers stood at the front of the classrooms, faced rows of student desks and lectured — day after day. The only additional tool that was needed, if any, was a chalkboard. In recent years, that teaching model has been replaced by a more dynamic, collaborative and student-centered approach at many schools. Students often work together at tables, while teachers move around their classrooms, guiding groups of students. Technological resources — touch-screen monitors, projectors, printers — play a key role in today's learning spaces. To accommodate and reflect that teaching model, school buildings have changed, too. And the benefits go beyond making teaching easier in the classroom. A growing body of evidence shows that the quality of learning spaces has a direct impact on student engagement and performance. 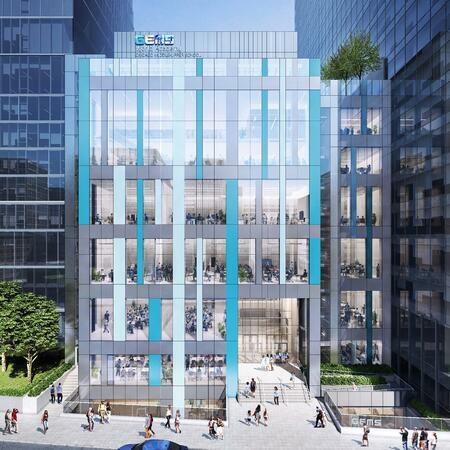 GEMS World Academy Chicago, a premier private school, is opening a new Upper School building that represents the very latest in architectural thought and practice for education. The building, which will serve grades 6 through 12, opens for the 2019-2020 school year. The Upper School reflects the same sense of purpose as GEMS' existing (and award-winning) Lower School, which opened in 2014. Every space inside the new building, from the ground-floor lobby and classrooms to the rooftop common area that overlooks Lake Michigan, is designed to inspire its students. "The GEMS Upper School is a perfect environment for 21st-century learning," Head of School Tom Cangiano said. "Its innovative design embodies the latest research in pedagogical advances and educational facilities." Fully equipped "makerspaces" and science labs. A two-level library that rivals collegiate offerings. 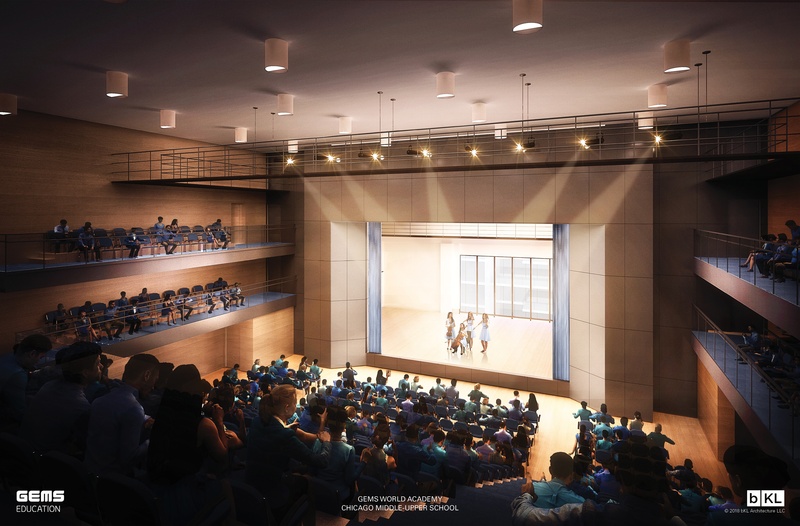 An innovative performing-arts auditorium that can be configured for multiple uses. A full-size gym and fitness center. The building's design brings natural light into the learning spaces and provides students with dramatic views of Chicago's downtown area and the lake, establishing a sense of place that echoes one of the key tenets of the GEMS approach: The entire city of Chicago is our classroom. "The building itself is a powerful learning tool, helping students develop the skills to face the future with confidence," Mr. Cangiano said. 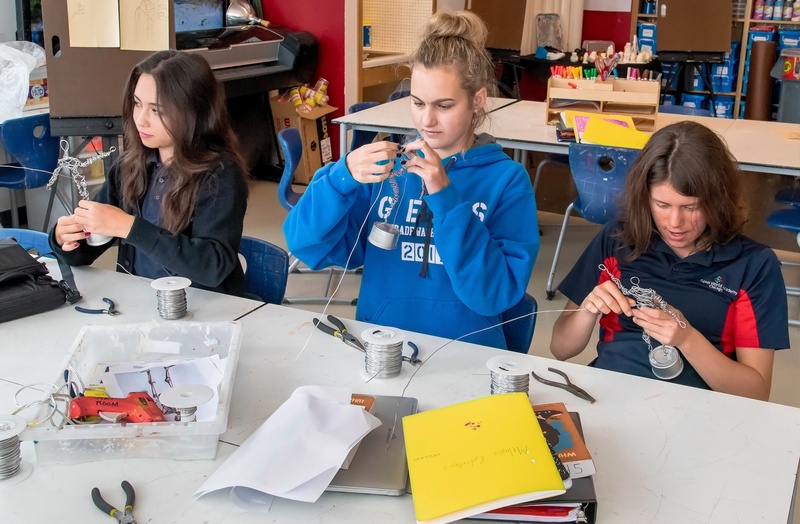 The opening of the Upper School also allows GEMS to launch the International Baccalaureate Diploma Program, which serves students in grades 11 and 12. GEMS already is formally authorized for the Primary Years Program (preschool through grade 5) and Middle Years Program (grades 6 through 10); it is a candidate school for authorization in the DP. The DP immerses students in an exceptionally rigorous, stimulating and rigorous curriculum built on student choice and inquiry. Assisted by the latest technology, GEMS students will work in the classroom and in all corners of Chicago to develop solutions to local, regional and even national problems. "It was a priority for us and for bKL that the Upper School be designed with our unique approach to education in mind," Mr. Cangiano said. "We expect this to be a remarkable learning facility for our students." GEMS invites you to learn more about the Upper School building and program. The school is holding several admissions events during the coming months — register now to get a glimpse of the future of education!